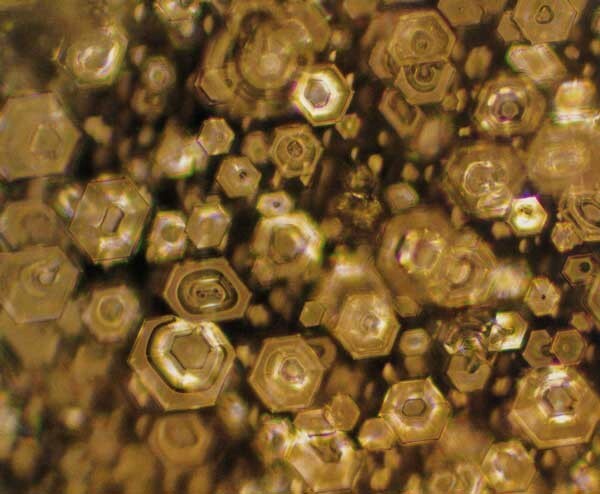 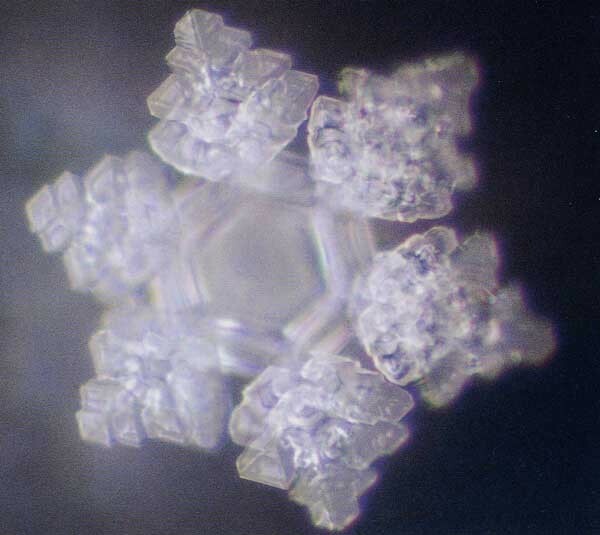 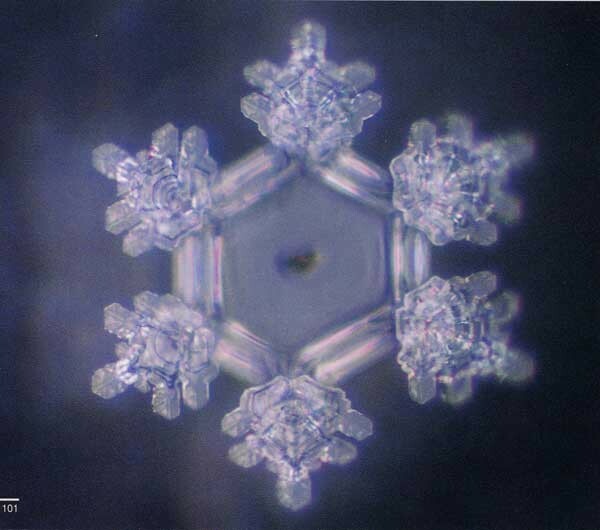 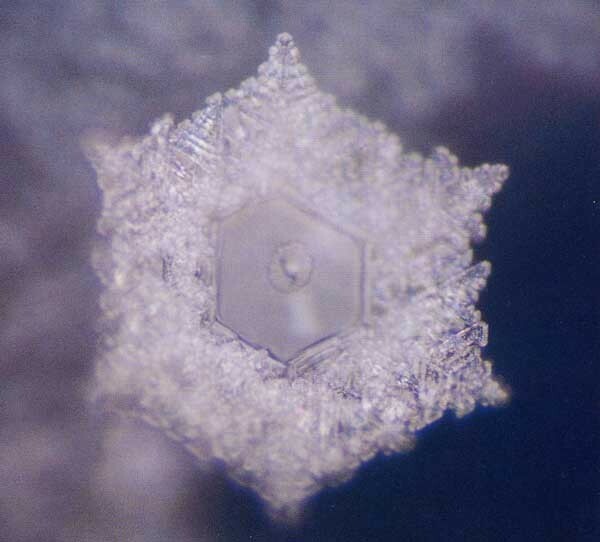 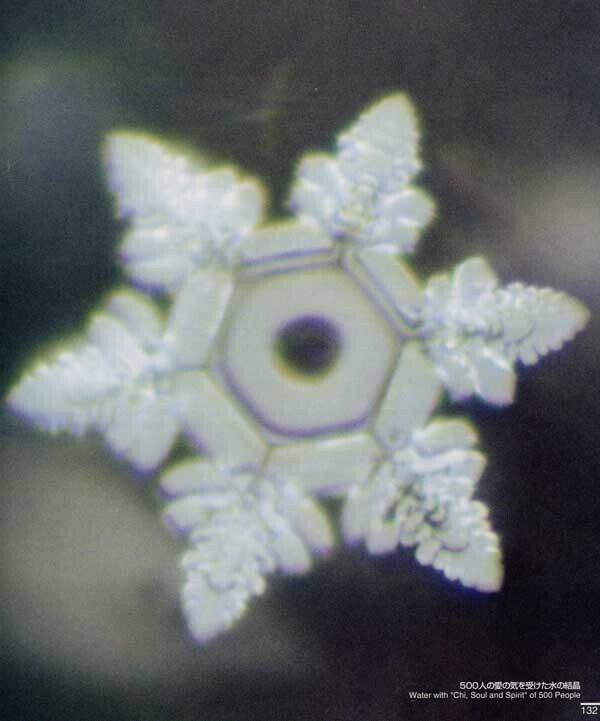 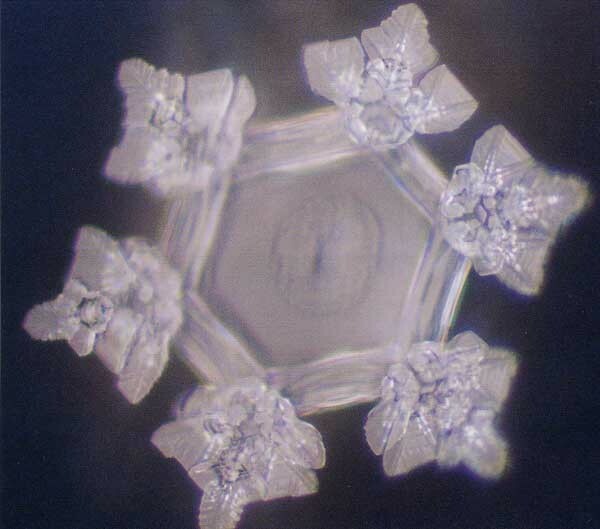 This picture shows a crystal of water from Three Branch Spring . 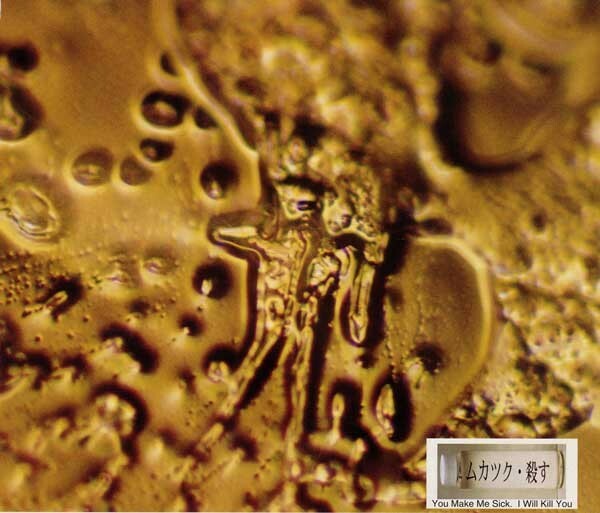 The spring is located in Kita Mikoma County of Yamanashi in Japan, which split into three branches at one point, and thus called Three Branch Spring. 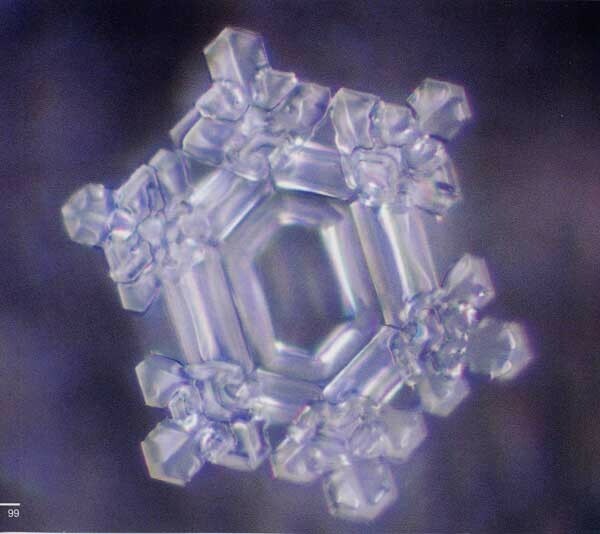 There are also three branches at each arm of the crystal. 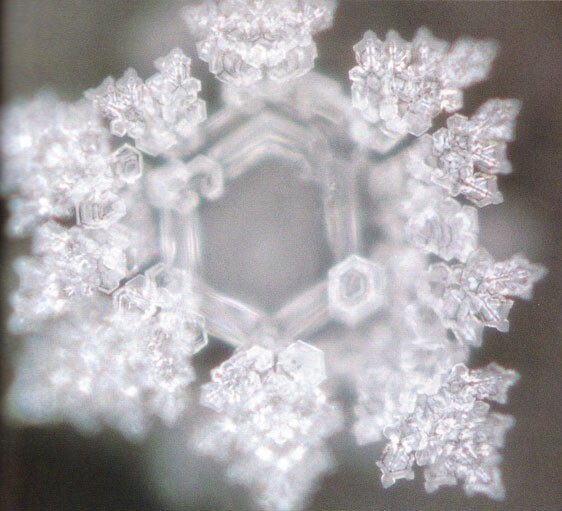 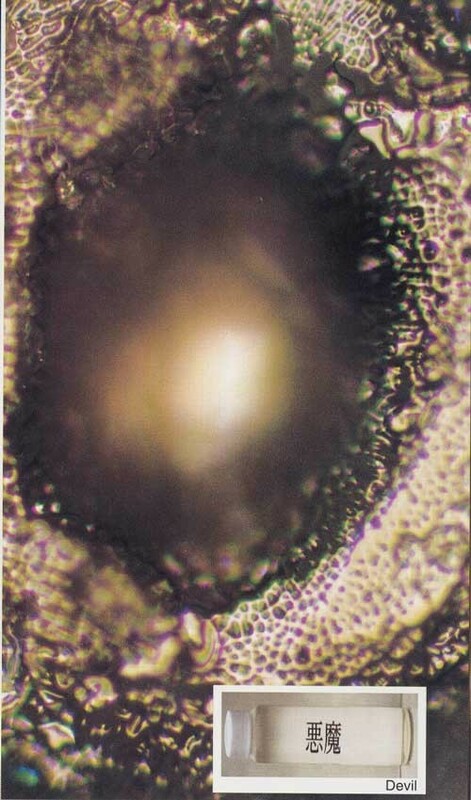 Photo of Water Crystal After Accepting 500 People Expressing "Love"
Photo of Water Crystal After Reading It with Germany of "Love and Thankfulness"